Tomorrow is the six month anniversary of the publication of my debut novel, The Language of Spells. It’s been such an exciting, time, and I’m incredibly grateful for the support I’ve received from you lovely people. Thank you for visiting my blog (and/or following me on Twitter and Facebook) and for all the supportive comments, the brilliant (funny, informative) chats, and amazing reviews. Thank you! 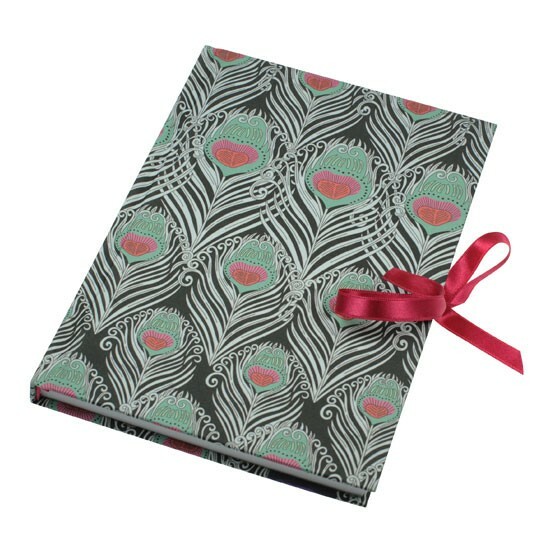 As a token of my gratitude, I’m giving away this beautiful A5 Liberty notebook. Gwen Harper, the protagonist in The Language of Spells, has an uncanny ability to find lost things. In the book, she finds a vintage purse made in the iconic Liberty peacock print, but I couldn’t afford one of those – sorry! To be in with a chance of winning, just leave a comment on this post and I’ll pick a name at random.